Fees and Services. How much will your hypnotherapy session cost? The beauty of a hypnotherapy session is that it works quickly and deeply to produce lasting change. The benefits can be felt immediately with reinforcement provided through listening to the CD. Consider the personal and financial cost of staying as you are. The cost of smoking, bingeing and drinking excessively can be taxing personally and financially. Insecurities, poor coping mechanisms, learning difficulties, addictions and anxieties can compromise your relationships, career and future prospects. Depressive states can also take their toll on your health and relationships. Unhelpful habits can be transformed in a relatively short period by getting to the root cause of the issue. Our therapists skilfully blend strategic psychotherapy, Neuro-Linguistic Programming and hypnosis to change your operating processes. Its not about what you think, its about how you think. This is an opportunity for you to ask me any questions to help you decide if hypnotherapy is the right path for you. You may wish to complete the Client Intake Form and we can get back to you regarding your enquiry. It’s free, and there is absolutely no obligation. Scoping of the treatment plan. CD of the hypnotherapy session to take home. The first 30 minutes are obligation free. If you are not completely happy to proceed, you are free to cease therapy at no charge. A good dynamic between therapist and client will ensure a successful outcome. Initial Consultation (2hrs): free half hour Subsequent hypnotherapy sessions are between 1-1.5 hours in duration. Please call or email us for hourly rates and package deals. All subsequent hypnotherapy sessions also include a CD. The purpose of the CD is to allow the unconscious mind maximum opportunity to reinforce the changes. Most problems will benefit by a four-session block with tailored pricing arrangements available for hypnotherapy, ongoing support and coaching. This is especially useful for achieving long-term goals. Please call to discuss your requirements and we can tailor a package to meet your needs. The package is payable at the conclusion of the initial consultation. 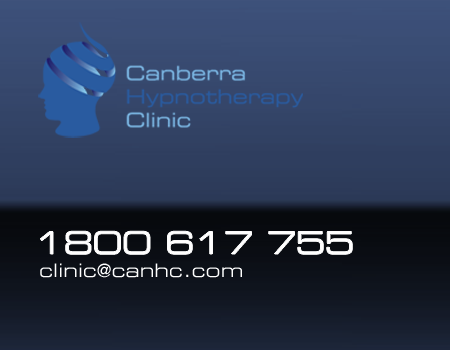 Hypnosis is brief therapy and the best results by scheduling sessions on a weekly basis. Parents are encouraged to stay and enjoy the hypnotherapy session tailored for their child. Concessions are also available for Health care cardholders, pensioners and students. Contact us for further information and rates. We accept Visa or MasterCard credit card payments, or cash. Receipts listing our provider numbers will be provided upon request. Package Prices** – we can tailor a package specifically for you and you will save money by purchasing a block of sessions. Please contact us for prices. ** Package sessions are valid for 12 months from the date of purchase.